You should assume that everything you see or read on this site is protected by copyright unless otherwise stated and may only be used according to these Terms and Conditions. KickTrix does not warrant or represent that your use of materials displayed on this Site will not infringe rights of third parties not owned by or affiliated with KickTrix. Images are either the property of, or used with permission by, KickTrix. The use of these images by you, or anyone else authorized by you, is prohibited unless specifically permitted by these Terms and Conditions. Any unauthorized use of the images may violate copyright laws, trademark laws, the laws of privacy and publicity, and communications, regulations and statutes. 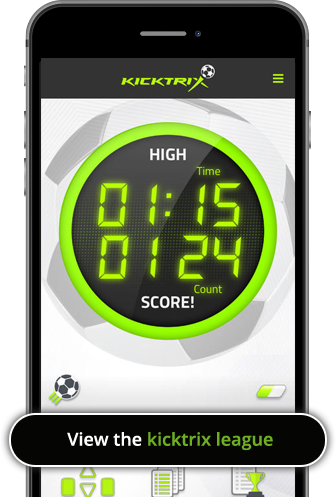 KickTrix uses reasonable efforts to include accurate and up-to-date information on the site. However, KickTrix assumes no liability or responsibility for any errors or omissions in the contents of this site. Furthermore, your use of and browsing in this site is at your risk. Neither KickTrix nor any other party involved in creating, producing or delivering the site is liable for any direct, indirect, incidental, consequential or punitive damages arising out of your access to, or use of, the site. KickTrix assumes no responsibility and shall not be liable for any damages to, or viruses that may infect, your computer equipment or other property on account of your access to, use of, or browsing in the site or your downloading of any materials, data, text, images, video, or audio from the site. The trademarks, and logos, displayed on the site, are trademarks of KickTrix Ltd. Any use of this website or its contents, including copying it in whole or part, other than for your own personal, non-commercial use is prohibited without the permission of KickTrix. If you wish to use anything from the KickTrix website please contact us on info@kicktrix.com.